Inline heaters are designed to heat either a liquid or a gas while the process is moving. The process flows across the heating elements, inside a custom engineered pressure vessel. Oftentimes a customer will have a flowing process and require heat on the fly. Examples include fuel gas heaters where wet gas is flowing through a pipe and must be dried before burning. Another common application is seal gas, where high pressure, high temperature gas is flowing into a large piece of rotating equipment. The gas is used to create positive pressure and prevent particulate ingress. A myriad of applications exist on the liquid side as well, from crude oil to vegetable oil. And, as always, we marry our heaters with a control panel, do provide the most energy efficient operation. Valin personnel have worked on super critical applications and seen the harshest environments; put our expertise to work! Consider Valin's technical specialists as an extension of your team. Valin's technical specialists implement vast knowledge of process heating applications to understand and address the complete thermal needs of each individual client. 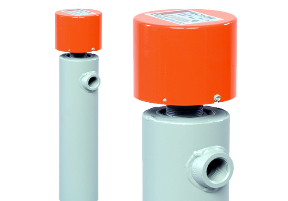 This allows Valin to offer the most effective tank heating system ideal system for a specific application. No two plant facilities are the same, and thus each one needs a heater solution tailored to individual processes and needs. (855) 737-4718 to speak to one of our experts immediately. When we needed technical assistance and applications support, Valin was there for us. Their knowledgeable engineers saved us an invaluable amount of time, helping us get up and running quickly. We are very happy with their services.